Like cars, furniture is a large purchase and the better educated you are, the better you can make a decision that fits your needs. Great furniture should also last a long time despite how hard you use it. This is a great way to better understand which furniture brands are best when looking for your next furniture purchase. Southern Motion Dazzle Sectional – Made in U.S.A.
some of the brands that build all their furniture with high quality materials. 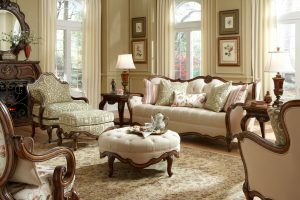 If you purchase your furniture from either one of these manufacturers you will see that it is constructed with all hardwood and durable fabrics. You will get a lot of mileage (or years, if you will) out of furniture by Acme and Coaster. Just like Honda, Southern Motion’s commitment to value and quality has helped them achieve status as a leader in the reclining sofa market. 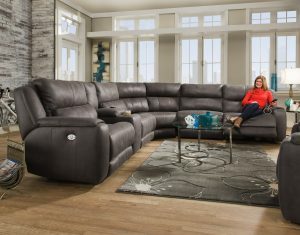 The options of power recline, power headrests, charging stations, layflat and wall-hugger in addition to a huge custom selection of fabric and leather covers has made Southern Motion a living room furniture favorite. Shop Southern Motion today for a sofa, loveseat, rocker chair or sectional sofa today. Moving up in quality and price, we get to our medium high-end brands. Normal characteristics of this brand are a bit higher level of craftsmanship, higher quality materials and higher end designs. These again are meant to last, look great, feel great and yet still are reasonably priced for what you get. Some of the brands in this category are ART Furniture, Classic Home Furniture, James Martin Furniture, Luke Leather, Moes Home Furniture, Parker House Furniture, and Uttermost to name a few. If you are in the market for a library wall, large-scale entertainment wall, office desk, home office desk, living rooms sofa, loveseat or sectional, look no further than Parker House Furniture or Parker Living Furniture. They create excellent designs with fantastic craftsmanship at a price that won’t disappoint. When you see what you can purchase at this price point, you’ll find yourself filling more and more rooms with Parker House furniture. ART Furniture manufactures both old world and contemporary designs. 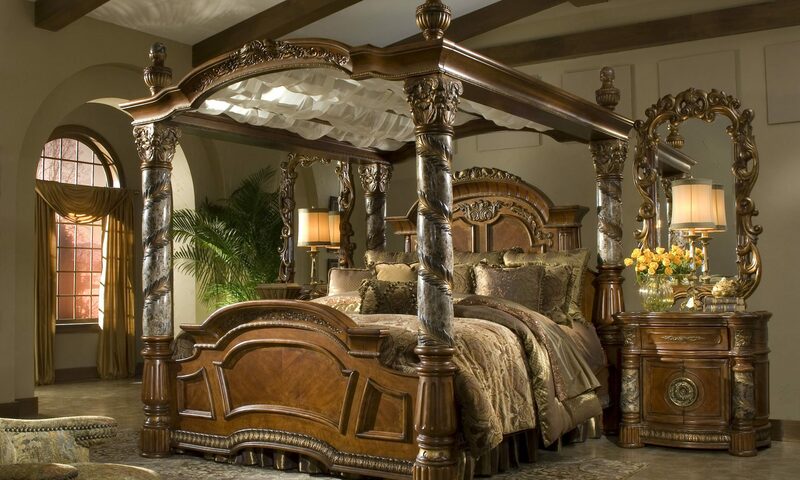 Features of ART Furniture include fine wood solids and exotic veneers, hand-carved elements and rich, complex finishes. 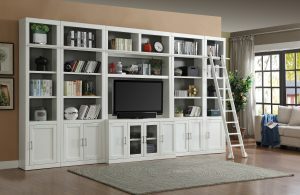 Enhance your home with the beauty and lasting quality of ART Furniture. Cyan Design, Moroni Furniture, NOIR Furniture, CFC Furniture and Worlds Away. You can expect high-end designs, designer looks, the most updated styles, solid hardwood products, marble finishes, Italian Leather and other features from some of these brands. This is the kind of furniture that is built to last and will become heirlooms for future generations. Now, to be fair to some other brands, they do have products that go really high-end but these are brands that will build the high-end quality across the board. Contact a sales rep if you are interested in a certain product and would like more information on where it stands on the quality scale. Much like Mercedes, AICO furniture is both beautiful and stylish. Amini Innovation Corporation, or AICO, combine Old World inspiration with innovative technology to create elegant, high quality furniture that you will be able to treasure for many years to come. American hardwood frames and high end fire retardant foam. The quality control team at Moroni ensures the integrity of every sofa, loveseat and chair that Moroni produces. Get yourself into a Moroni and stay home happy! We hope that this helps you understand the more prominent brands we carry. 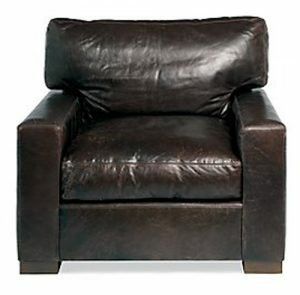 At GreatFurnitureDeal.com we want every customer to feel as comfortable purchasing online as they would in a brick and mortar store. If you have any questions or need to know more before purchasing your furniture, call us at 1-800-970-5889. We are happy to help and look forward to hearing from you!